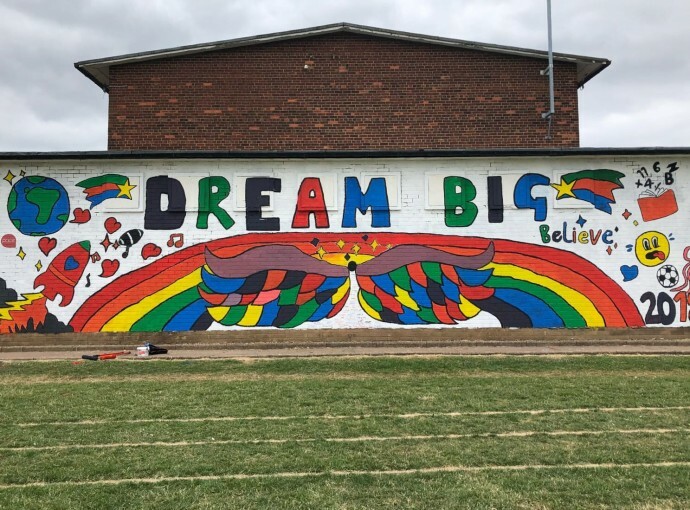 Year six pupils at Hull’s Priory Primary School who are preparing to move up to secondary education have created an inspiring mural to be remembered by. A group of 46 youngsters worked with creative agency Pace to come up with their own design and paint it on an outside wall next to the school’s playing field. The project was facilitated by Hull and East Yorkshire Children’s University, which put the school and the Pace team in touch to work together on the idea. Anita Pace is MD of Pace Communications and a trustee at the children’s university. She said working with the school was part of the agency’s community and social responsibility programme. 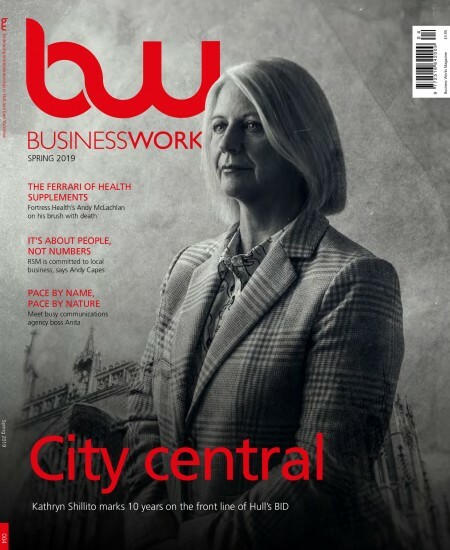 “As an agency, creative thinking is a key part of what we do and the team really enjoyed working on this project,” she said. “We thought designing and painting a mural was a lovely way for year six pupils to mark the end of their time at primary school and we were really impressed with their ideas. Pupils who were involved in the project signed their name on the wall and were rewarded for their efforts with a celebration at their end of school year prom. They will also be treated to a visit from the Hull and East Yorkshire Children’s University mascot. Rose James, partnership manager at the children’s university, said: “Our aim at the children’s university is to give youngsters in Hull experiences which encourage learning, build self-esteem and create aspirations. “This project gave pupils the opportunity to work with a professional creative team to do something different for themselves and leave an inspiring message behind for the next generation.